AC Milan will reportedly have to splash out €38m in total on Tiemoue Bakayoko if they wish to sign him on a permanent basis from Chelsea this summer. After overcoming a tricky start, the 24-year-old has established himself as a fundamental figure in the Milan midfield over the past few months, emerging as an ever-present in Gennaro Gattuso’s starting line-up. With that in mind coupled with the fact that the Italian giants could secure qualification for the Champions League this season, it may lead them to opting to sign Bakayoko outright from Chelsea. However, Calciomercato report, via the paper edition of Tuttosport, that it will cost them €38m in total to sign the Frenchman, with the Blues not interested in offering any discounts. As per Calciomercato last summer at the time of Bakayoko’s arrival, it was suggested that Milan had an option to sign him for €35.5m at the end of the season, and so that would suggest that the latest figure includes any possible loan fee. 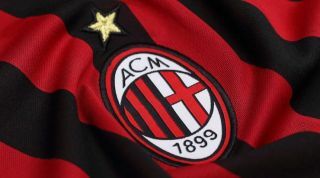 In turn, it presents the Rossoneri with a difficult decision, as that’s a significant fee to splash out, but Bakayoko has proven to be a pivotal figure in their push to return to Europe’s top table. As a result, it could be argued that they should spend the money, while Bakayoko could be open to a move given he was loaned out almost immediately after Maurizio Sarri’s arrival at Stamford Bridge as he doesn’t seem to fit with the Italian tactician’s preferred style of play. Meanwhile, that isn’t the only touted move that Milan will make this summer, as Goal Italy report that Barcelona starlet Marc Cucurella is on their radar, and contact has been made with the Catalan giants and the player’s agent to discuss a potential move to the San Siro. The 20-year-old is currently on loan at Eibar and has made 22 appearances so far this season to gain crucial experience at his age. However, the report above suggests Milan will have to spend up to €11m to prise him away from the Nou Camp, while he would act as a replacement for Diego Laxalt as Ricardo Rodriguez’s back up option at left back.